Marinate in yoghurt for about half an hour. 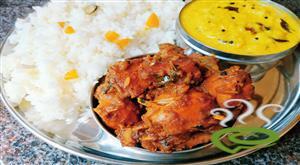 :- Personally, I feel bone-in chicken gives the curry a better flavour. Saute the shallots, green chillies, ginger, garlic and curry leaves, until the shallots are clear. Add red chilly powder, coriander powder, turmeric powder and black pepper and saute for a few more mins. Add the marinated chicken and salt and saute, until the chicken changes color. While the chicken is cooking, saute the potatoes and the tomatoes in another pan. Add it to the curry and continue cooking it with the lid on. Dry roast cardamom, fennel, cinnamon and cloves. Grind them together into a smooth paste and add it to the curry and cook with the lid off. Once the gravy gets a little thicker, add the coconut milk. 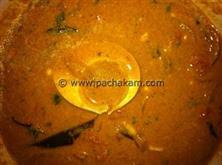 :- Kerala Nadan Kozhi Curry is ready. 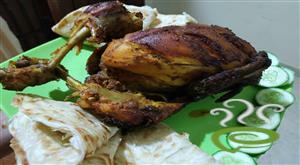 :- Serve Kerala Nadan Kozhi Curry with any of the Indian breads or rice. 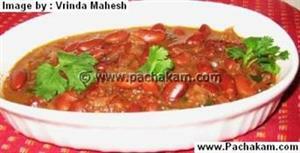 :- For best results prepare this Kerala Nadan Kozhi Curry in an earthern pot(Mann Chatti). 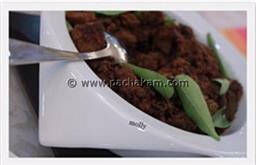 :- Play around with the spices to suit your mood! 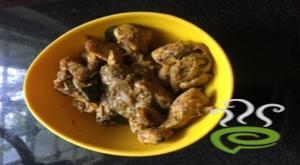 I tried this recipe with around 700 gms. 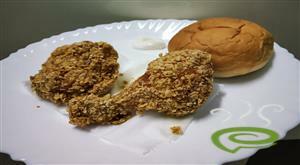 of chicken and scaled down the ingredients, except the dry masala. It came out fantastic. 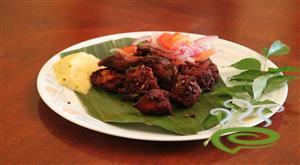 Served with Appam and was great!! Thanks for the recipe. 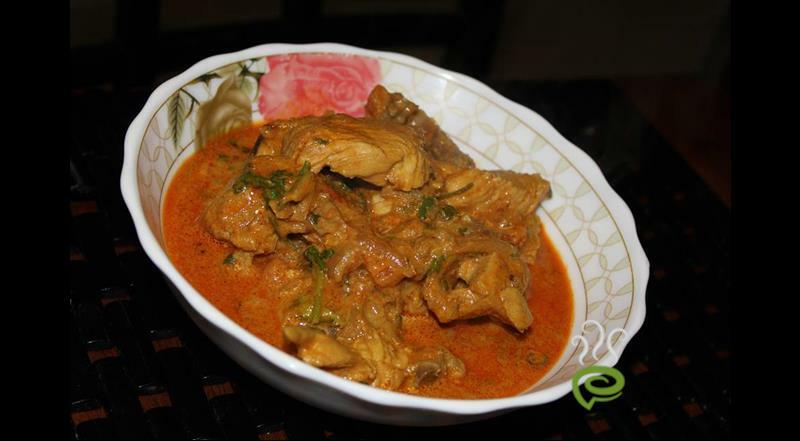 This is going to be one of my favourite chicken curries now! Hi, My husband and I loved this recipe. We couldn t believe how good it tasted. 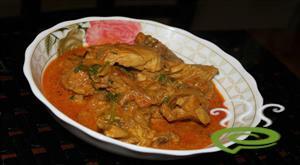 Its so far the best chicken curry I ever had. Thats a huge compliment since i think my mom is the best cook - Thank you so much for sharing this. The dish looks / tastes great! My 19 y.o. tried it, as he is trying to learn a few authentic indian dishes so that he can cook something for himself at Uni. He was pleasantly surprised at how well it turned out. I told him to cut down on quantities of all the spicy ingredients and it was perfectly suited to his taste. I feel that it needs a squeeze of lemon juice to enhance it further. Thanks for sharing. This recipe is really worth the try !Easy and not too complicated ;really loved it! Thanks for the recipe . awesome dish. worth a try for all the beginners out there. Wonderful..this works very very well..Try just according to the reciepe..
the recipe is excellent, i avoided the potatoes, and added roasted jeera powder . EVERYONE SHOULD TRY THIS .ITS GREAT! !I DID ADJUST THE SPICES TO MY TASTE.EVERYONE LOVED IT.I PREPARED IT FOR 2 PARTIES AND RECEIVED ALL PRAISE FOR MY COOKING. hai, superb!!!!!!!! !its like mom`s recipe.i`m just a starter in cooking.still it came out well.i can smell exactly same smell of mom`s chicken curry. It came out really good. All of us liked it so much that we were scraping the bottom of the bowl once it was over. Great recipe!!! !